Why you should self-publish your comic. My Process For Creating a Comic from Start to Finish. The Best Tools for Creating Comics. How to find writers and artists to collaborate with. How to get your comic distributed to comic book stores. Tips on how you can successfully fund a KickStarter. Tips & Tricks I use to create comics. How to find a printer for your comic. Since I was young I always had the dream to be able to make a living off the comics I create. Thanks to Patreon and you, my fans, that dream can now be made possible. With your support I can continue to create great quality comics and of course, provide you with awesome rewards! If you happen to be unfamiliar with how Patreon works then don't worry, I'm here to tell you. Patreon's simple system allows you to support my work with a monthly pledge and in return, depending on what tier pledge you commit to, you get some really cool exclusive rewards! And if you decide you want to change tiers, skip a month, or want to cancel your pledge then you can do so at any time. Now we get to the fun stuff, the Rewards! Want updates and a free comic? 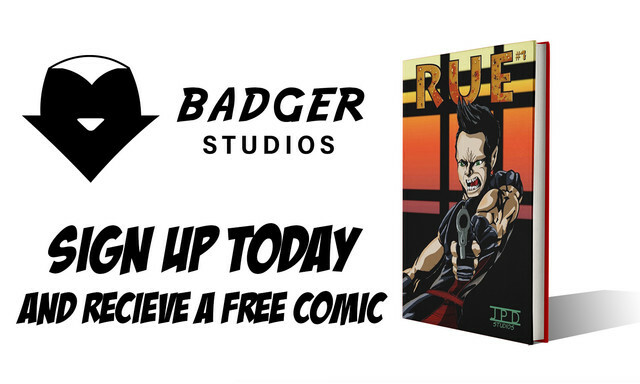 Then make sure to subscribe to the Badger Studios Mailing List and receive a free copy of Rue Issue #1! Click Here To Sign Up. Join the Honey Badger Nation! Thank You! Your support gets me one dollar closer to being able to create comics for a living. At this tier you will be able to see pages of the latest comics I'm working on before anyone else, get access to an archive of Photoshop Files for each page! With this tier you get exclusive access to behind the scenes access that you guys will see before anyone else! You'll also recieve links to my weekly Patron Only Livestream where you guys can hang out and chat with me while I'm working on pages of Tzaria. And of course you'll be able to see pages of the latest comics I'm working on before anyone else! Want to see me draw your favorite characters? With this tier you get to commission a sketch which I will sign and ship to you personally. Plus you get all other perks of the previous tiers. Wow. You are awesome! 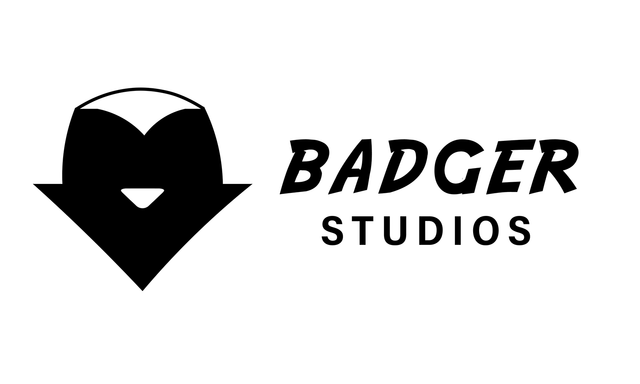 With this tier you'll get a Badger Studios T-Shirt, a Tzaria poster, and some more random Badger Studios Merch. Also, if you have a business I'll let you advertise your logo in my future published comics and graphic novels. And of course, you get all of the previous rewards mentioned.